An alternative to the traditional throwing confetti without the mess. 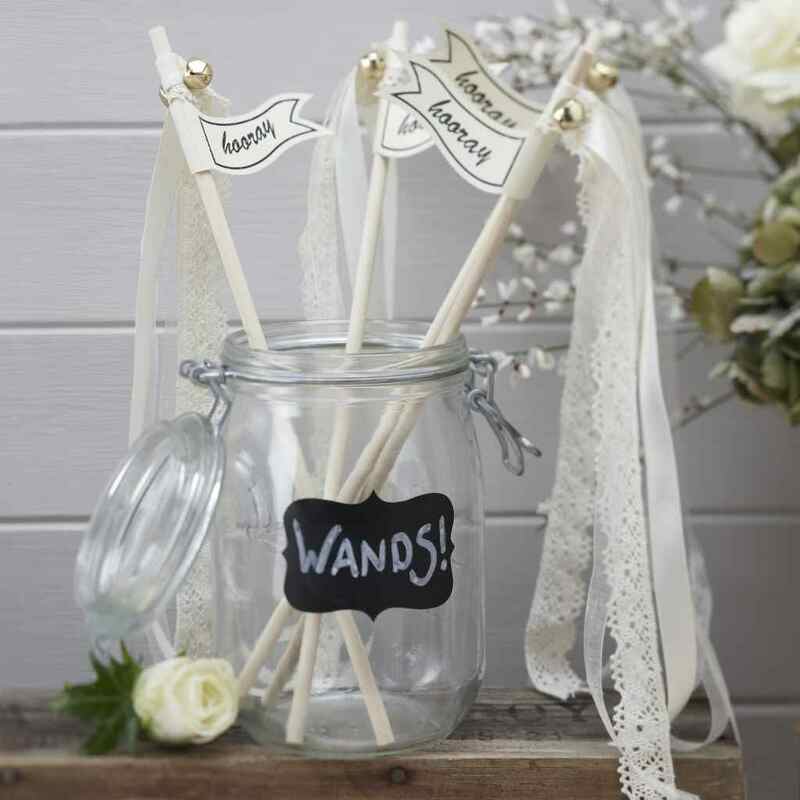 Our Ivory Wedding Wands look great on the wedding photo's. Each wand is around 30cm in length with a printed flag saying ‘hooray’ on textured white card.